One of the biggest thrills about hunting (besides taking home your big trophy) is the ability to detach from the daily grind and feel at one with nature. But heading off into the wild with nothing but yourself, your gear and of course, your hunting license, might leave you feeling out of touch with everyone and everything around you. To help solve this, just bring your Smartphone, that way you can connect when you want and still enjoy your time. Did you know Smartphones can actually be incredibly useful in the woods when hunting? You can keep track of your locations, get up-to-the-minute details on optimal hunting times, see in the dark, take pictures, log hunting observations and much more. All you need to do this- are the right hunting apps. Having these apps will help you downsize on all the equipment you bring along with you on your next hunting trip, and who knows.. one of these apps could even save your life! The iSonular Hunting and Fishing App gives hunters and anglers up-to-date details regarding the best time of day for hunting and fishing anywhere in the world. Using astronomical data from the US Naval observatory, users get access to location specific information on feeding/activity periods, sunrises and sunsets. Rated best-selling hunting app of all time, Primos Hunting Calls allows you to “speak the language” of nature to attract prey. With over 20 interactive calls you can select from a variety of categories including Turkey, Predator,Elk, Deer, Waterfowl and ‘specialty’ sounds to excel your skills for bringing in prey. The iHunt Journal is an all-inclusive app that allows you to track and record all of your hunting observations and other relevant information. What can you do with iHunt? Get updates on the weather as well as sun, moon and solunar periods. Remember all pertinent details about your hunting trip by including information on game type, time hunted and weight. Take a snapshot of your hunting area so you never lose your stand. Record coordinates of key deer rubs and scrapes so you can plan ahead for your next hunt. The GoldenPic app was initially designed as a photography app but has since extended its utility to hikers, campers, hunters, anglers and even pilots. This app provides sunrise and sunset times as well as lunar phases. The special thing about this app is that it also tells you when the Golden Hours and Blue Hours are. The Golden Hour is the first and last hour of sunlight during the day. The Blue Hour is the period of twilight each morning and evening where there is neither full daylight nor complete darkness. These are considered the ideal times for getting the best shots. 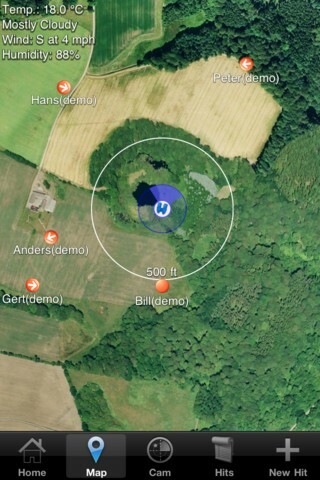 With GoldenPic you can also save locations, and of course share your pics on Facebook, Twitter and Tumblr. The Hunting Light & Blood Tracker app gives hunters improved visibility in all lighting conditions. Green light enables night vision, blue enhances green objects that would otherwise be camouflaged in the forest and white is for general purposes. A unique feature of this app is its “blood tracking filter” which enhances the visibility of the blood trail left by wounded game so you can quickly recover the animal's whereabouts. 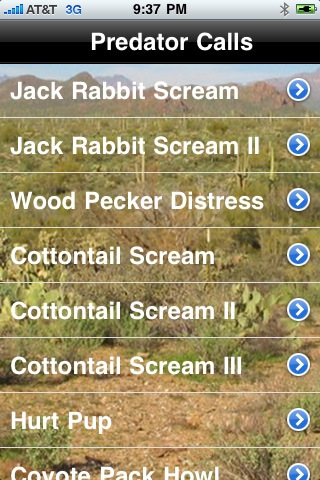 With the Predator Hunting Calls app, predator hunters have 12 different precise call sounds, from a coyote pack howl to different wounded animal sounds. This highly-rated app is very handy for bringing in coyotes, bobcats, foxes, wolves, cougars and other game. The SAS Survival Guide is must-have survival and safety guide written by a former Special Air Service (SAS) soldier. It provides vital information on safety and survival, a photo gallery that with detailed descriptions of anything from deadly mushrooms to poisonous plants, a survival checklist, key information supported with illustrations, a Morse code signalling device, a compass and more. Featuring video and images, this device will make sure you get the answers you’re looking for when you need them most. “Intended for serious shooters who want a serious application” the Ballistic app is a highly sophisticated tool that calculates trajectory, windage, velocity, energy, and bullet flight time for any range you plan to shoot at, ensuring the best possible targeted shot. It takes into account temperature, humidity, barometric pressure and altitude. 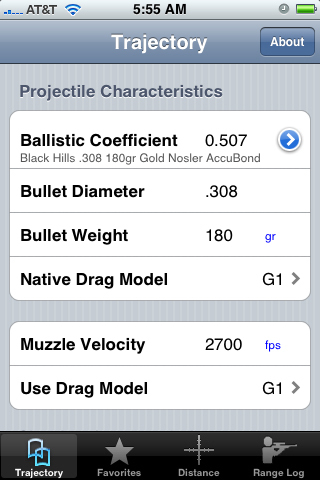 This full feature app has over 3,500 projectiles and factory loads, a range estimation calculator, GPS and atmosphere awareness. 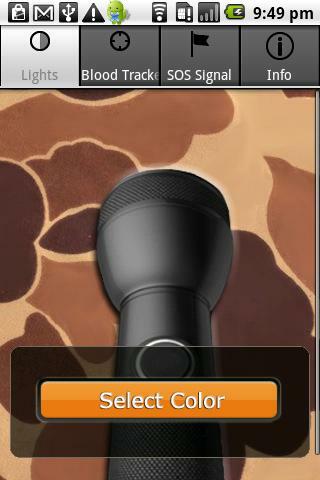 This is a must-have application in a range hunter’s app collection! We all know how pesky those bugs can get and if at some point you run out of bug repellent, you can use the Bug Spray app to emit high frequency tones that will keep the bugs away. 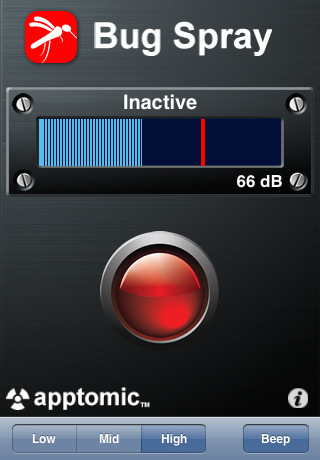 The ultrasonic app releases tones at frequencies above the hearing range of most people- but keep in mind that won't be the case for animals, so make sure you don’t scare your prey away with it. The ActInNature app tracks the moves of you and your hunting group, ensuring the safest hunt possible. With the Capture Map you can see your position and orientation as well as the direction and speed of other hunters. The augmented reality browser allows you to see the distance between you and other hunters. Finally you can store important information on hits to refer back to another time. By choosing the right selection of these highly-rated apps for your specific needs, your hunting adventures will never be the same again. Just remember to bring a charger with you (preferably solar-powered) so your device doesn't die on you when you need it most. April 2012: A special time of year. The youth turkey hunt. February 2011: Focus: Catch It If You Can! February 2011: There is not Enough Food! January 2011: Was Socrates a Hunter Education Instructor? November 2010: Learn to Move… Move to Learn! November 2010: Refuse to be a Frog!! October 2010: Which Way Did They Go? September 2010: What An Eye Opener! September 2010: Do You Really Understand Your Students? HunterCourse.com is a leading provider of hunter safety education and certification across the United States and Canada. Our online hunter safety course allows hunters to meet mandatory education requirements in their State or Province.